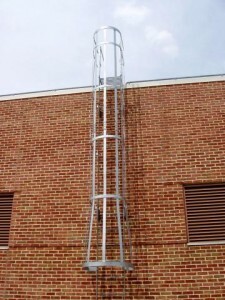 Roof access ladders are especially helpful when there is no access to the roof from inside the top of a building. 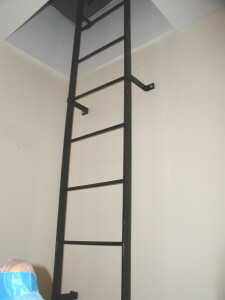 In order to provide more security when the ladders begin at ground level, you may wish to plant the roof access ladders within a fenced area, such as a courtyard. 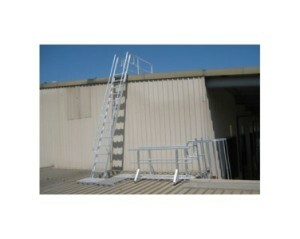 The lower portion of the roof access ladders may also employ a gate to avoid unauthorized users. Be sure to check local regulations for buildings over one storey, as they normally require an enclosure, such as a cage for the ladders. 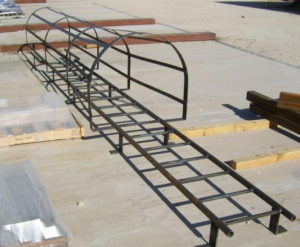 You want a good quality of solid steel to be used for the construction of your roof access ladders and professionally built. 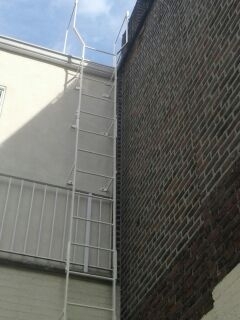 They must be positioned so the angles of the ladder along the building are able to support a person’s weight. A fall from roof access ladders can cause some pretty severe injuries, especially those from a few floors up. 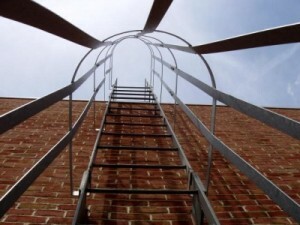 When we install roof access ladders, we ensure all the anchors – on the ground and along the wall, as well as at the top – are fully and solidly constructed and welded. A good many accidents that take place from roof access ladders can be avoided. 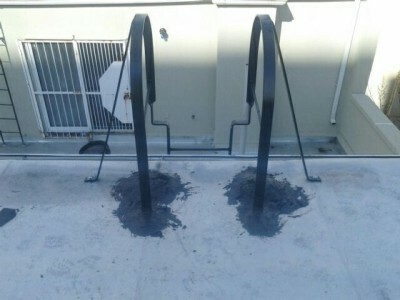 Keep them from happening at your site and inspect yours on a regular basis. Play it safe and contact us for more information.